Augusta Sportswear Baseball/Softball Belt & Sock Combo. Adjustable Belts with Leather Tab. 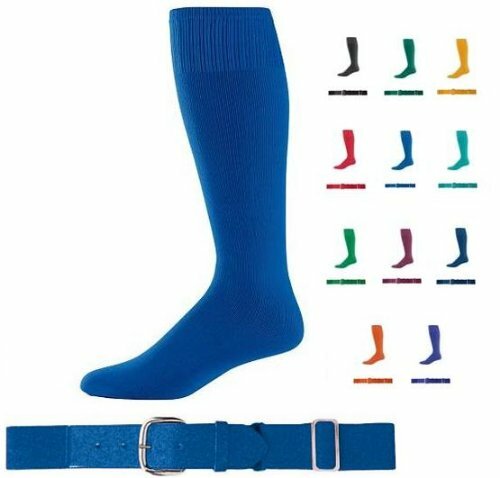 100% Stretch Nylon Athletic Game Socks. Belt/Sock Combo available in Youth & Youth Sizes. Sets come in 11 Colors. Augusta Sportswear Baseball/Softball Belt & Sock Combo. Adjustable Belts with Leather Tab. 100% Stretch Nylon Athletic Game Socks. Belt/Sock Combo available in Youth & Youth Sizes. Sets come in 11 Colors. If you have any questions about this product by Other, contact us by completing and submitting the form below. If you are looking for a specif part number, please include it with your message.